Meat is a very special substance. Whether in art, film, mass media or in the food offer in supermarkets. Everywhere we meet today on this organic material consisting of muscle, fat and connective tissue, its refined forms and cultural productions. 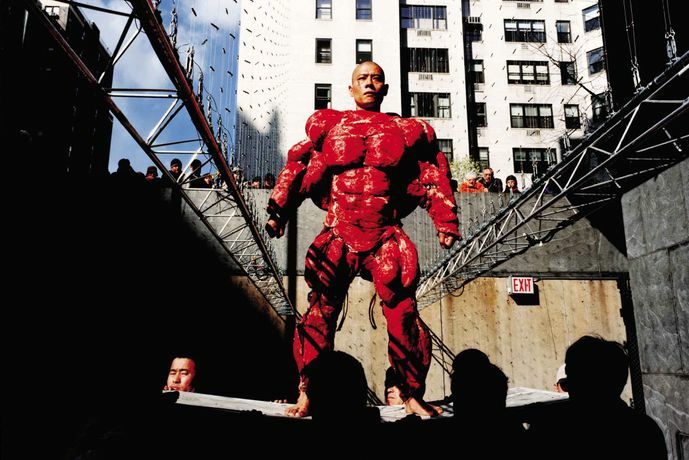 In a field of tension between still life tradition and the break of taboos, between cadaver and living incarnation, aesthetically staged morality and violent mania, dark phantasmagoria and bright fascination meat has become a central icon of modern times. Despite all hyper-presence and –representation the discursive examination of the topic meat will be subjected to a social taboo. In the New Testament the meat stands for the beginning of the Christian creation myth. No man, no God, no survival and no art without meat. The material and symbol of life, death, decay and mysticism draws its bloody trail through art history since the market- and kitchen-pieces of the Renaissance. Meat, the central artistic Vanitas-motif, has become in the Western world of commerce an important food, a raw material of body design and a genetic resource. This fact opens a wide field of subjects and content contexts that will be examined in this exhibition. In an ambivalent tension between fascination and provocation different positions of body art, performance art, sculpture, painting, photography and video art broach the issue of meat as a living plastic material, as a formal-aesthetic motif and means of expression of existential feelings, as a symbol of catharsis and a topos of aggression, vitality, death and preservation, as a symbol of impulsiveness and physical design will and as a metaphor for the impermanence and metamorphosis. : The exhibition will be accompanied by an exhibition catalogue (Hardcover / german/english / 148 pages / 20 €) with numerous images und texts von Stefanie Dathe, Cathrin Nielsen, Volker Demuth, Rudi Holz- berger and Jörg Scheller.